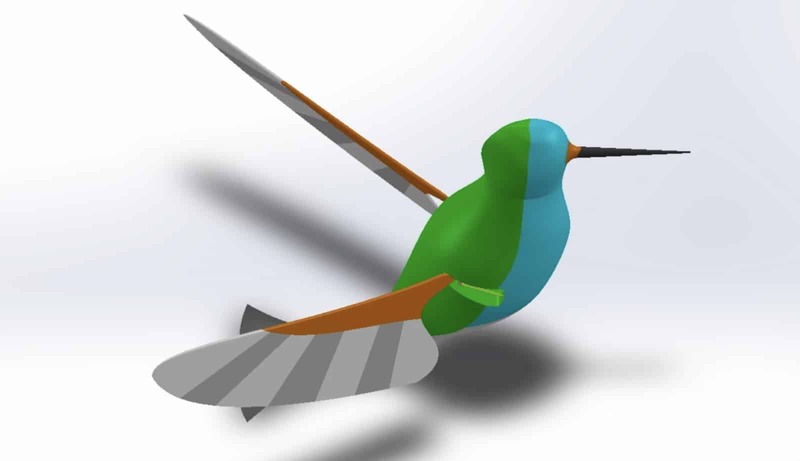 Benjamin Liu prepared this animation of the flapping wing mechanism designed by Peter Wang. It controls both the swing and the pitch of the wing to improve aerodynamics in hovering flight. This is the Youtube version of the animation. The youku version for our Chinese colleagues is available at the link: Hummingbird Linkage.